Home Big Opinions Rugby At The Crossroads. Back in 1986 Columbia Pictures released a movie, Crossroads, that was to become an iconic film of the age, celebrating blues music, while telling the tale of a legendary musician, Robert Johnson, who had sold his soul to the Devil in return for musical talent. I will not bore you with the details of the film itself, suffice that it tells the tale of a second musician, Willie Brown, who also sold his soul to the Devil, in exchange for exceptional skills playing the harmonica. There is a moment in the movie, at a deserted intersection of two country roads, those crossroads in the title, where the Devil himself shows up and tells Willie that the contract for his soul is still valid, even if Willie is wholly unsatisfied with how his life turned out. Redemption is offered, and achieved, when the hero of the movie engages in a guitar duel with the Devil’s own guitarist. 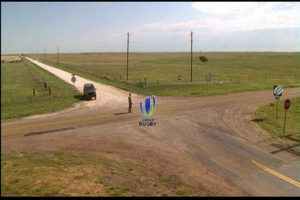 I mention this movie only to illustrate two issues that face World Rugby right now. The first, Rugby has sold its soul to the Devil, a deal that was made back in 1995 at those crossroads where amateurism and professionalism crossed paths. It was a deal that promised many benefits, in the form of massive broadcasting deals, huge salary packages for the players, and superior quality rugby for the supporters and fans. And it is a deal that has not worked out nearly as well as expected. The second, Rugby stands at the crossroads once again, with the offer of redemption versus eventual oblivion on the table. 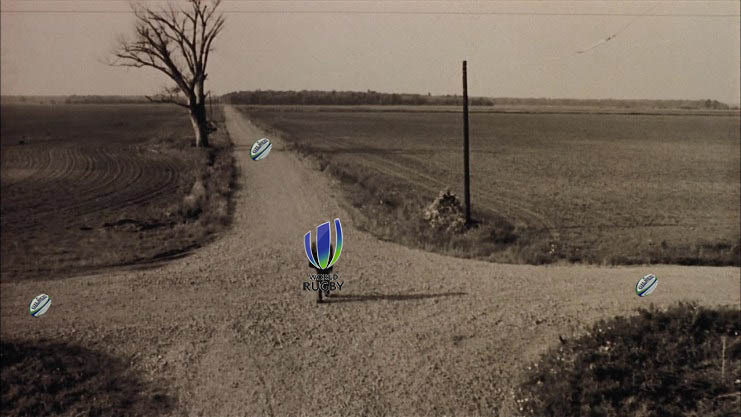 Which direction will rugby take? In essence, Professional Rugby is a failure at the box-office and on the balance sheet. First and foremost, Rugby across the world is in deep financial poo. England, after hosting the most successful Rugby World Cup in history in 2015, finished that financial year with a considerable surplus of £26 million (R493.5 million). That is a nice nest egg in anyone’s terms. That is a massive turnaround in just three short years. Over in New Zealand, the most successful rugby nation on earth, 2017 was a superb year, financially speaking. They hosted a British and Irish Lions tour, and ended the year with a record profit of NZ$33.4 million (R324,6 million). This follows a loss of NZ$7.5m in 2016, (R72,9 million). In 2015 they reported a loss of NZ$463,000 (R4,5 million). In 2016 Australia reported a surplus $3,7 million (R39,4 million) with the very successful England Tour contributing some A$15 million (R159,6 million) to the coffers, and a Government Grant of $2,656 million. (R28,3 million.) If it were not for the sold-out England tour and some government help, Australian rugby would have been in very deep financial waters. After 2015 Australian Rugby reported a deficit A$6,3 million (R24,8 million), despite an A$18 million (R191,5 million) grant from World Rugby for the Rugby World Cup. South Africa is right up (or is it down?) there too. A R62,4 million loss in 2017, after a R15,7 million loss in 2016. The 2017 loss was “boosted” by the expenditure of R24,4 million on the Rugby World Cup bid, and a taxation expense of R19,5 million. It is interesting to note that in New Zealand and Australia, the Rugby Unions enjoy tax exempt status, while in England and South Africa, both Unions have to pay corporate tax on their income. France have reported an overall loss each year for the past decade or so. Somewhat inconveniently, the FFR’s (French Rugby Union) website does not provide access to financial statements for the last three years. The most recent available are for 2014, when the two French professional rugby leagues, the Top 14 and the Pro D2, ran at a loss of €33,891,000 (R578,4 million). That was an even bigger loss than the €32.5m of 2013. They reported a similarly large loss in 2012. All of the figures I have provided above serve to illustrate that rugby, on a national, and international level, appears to be in some pretty serious financial trouble. The financial woes are not confined to the national bodies. If we dig a bit deeper, the problems are even more profound. In England, the Premiership clubs are finally joining forces in a drive to cut wage levels and end the persistent losses of the professional era. The bottom line is simple, the professional game is running at a loss in England. Saints’ chief executive, Mark Darbon said spiralling wage inflation and two unsuccessful seasons pushed them into the red.. The sad story repeats itself across almost the entire Premiership. Supposedly one of the richest competitions in the world, the Premiership is in trouble. According to a report in The Guardian, the state of finances at the Premiership clubs are more precarious than ever. The report quotes official financial information from Companies House for the 2016/17 season. Wasps made a loss of £3.7m before tax. The club boasted the highest turnover for the campaign – raking in £33.4m, although only £16.2m of that came from the sporting side of the business, with the remaining £17.2m coming from alternate sources, such as venue, business and hotel income. The club’s wage bill of £17m accounted for 51% of their turnover and was the highest in the Premiership that season, contributing to the club making a loss of £3.7m before tax. Harlequins made a loss of £6.6m loss before tax. The club’s turnover of £20.7m was the second highest in the Premiership, but again, a high wage bill (£12.6m – second highest in the competition) contributed to a £6.6m loss before tax. Leicester Tigers posted a £900k loss before tax. The club had the third highest turnover, and brought in £19.7m. A wage bill of £12m culminated in a £900k loss before tax. Bath ended up making a loss of £2.6m before tax. Their turnover stood at £19m, the fourth highest in the competition, whilst their wage bill of £11m was the fifth highest. Saracens’ financial statements look the most precarious of all, with £47m owed to investors and shareholders and a wage bill of £11.4m. Those liabilities mean that even a healthy turnover of £17.8m was not enough to save the club from a pre-tax loss of £2.8m. One club in perhaps an even more precarious state is Worcester Warriors. They made a loss of £8m before tax and their turnover of £10.8m was only the ninth highest in the competition. Furthermore, their wage bill of £11m is the fifth highest in the competition and even exceeds their turnover. They also have £26m in loans from the owner on the books. Sale Sharks brought up the rear in the turnover stakes, bringing in just £8.3m for the season, although their wage bill was also the smallest at just £6.5m. This meant that club only ended up making a pre-tax loss of £810k for the season. Northampton Saints had an encouraging turnover of £16.7m but ended up making a loss for the first time since they became a limited company in 2000, with pre-tax losses of £1.2m. One of the key factors behind the loss was an increase in the wage bill, which stood at £10.7m after investments were made to stop the club’s slide down the table. Gloucester posted very similar financial results to Northampton, with a loss before tax of £1.2m, too, as well as an identical wage bill of £10.7m. Their turnover was slightly less, at £16m. A £3m pre-tax loss for Newcastle Falcons was far from ideal. Their turnover of £9.7m and a wage bill of £7.9m were the 10th highest in the competition. The big success story, was Exeter Chiefs, who made a profit before tax of £1.1m, thanks to a tightly controlled wage bill of £9.6m and a respectable turnover of £17m. Exeter do have debts of £13m to pay off. Unfortunately, there was no financial information on Bristol Bears. Many of the Premiership clubs are heavily reliant on wealthy owners and backers to provide financial resources to keep the club alive. The 2018 Premiership season kicks off when promoted Bristol meet Bath. The clubs are run by the two richest men involved in the game, whose combined wealth is more than £2bn. Exeter Rugby Club states that it is owned by 700 members, with all the shares held in trust, with John Lockyer, Bob Staddon, Paul Derbyshire and Ian Pugsley acting as trustees. The Chiefs raised £7.5m through a bond scheme in 2013 with the chairman, Tony Rowe, investing £2m. The club also has a bank loan of £5m, more than half of which is personally guaranteed by Rowe. Gloucester are owned by Martin St Quinton, who made his fortune from selling his company Azzurri Communications. St Quinton took over in 2016 from the Walkinshaw family who had been in control for most of the professional era. The club moved from being reliant on Tom Walkinshaw to using bank loans to fund itself. Gloucester refinanced two years ago, taking out an eight-year bank loan of £4.5m which was used to repay secured loans and a bank overdraft. Harlequins are ultimately owned by Union Mutual Pension Fund Ltd, registered in the tax haven of Bermuda. Reportedly owned by financiers Charles Jillings and Duncan Saville. Harlequins launched a mini-bond in 2016 in a bid to raise £7.5m but, despite being one of the best supported clubs in the league, Quins remain mired in debt. Mosaic Limited, which is based offshore and is reported to be owned by both Charles Jillings and Duncan Saville, is owed £37m by the four companies set up by Harlequins. The club’s auditors noted Mosaic was committed to financially supporting the club until at least the end of December, but last year’s loss of £6.6m showed that self-sustainability is some way off. Leicester Tigers report a large number of individual shareholders, and the club states that no person owns 50% or more of the club shares. The best supported club in the Premiership with an average crowd of 21,500 still made a loss of £686,000. Newcastle Falcons are owned by Semore Kurdi. The Falcons’ crowds are lower than the league’s average and they struggle to reach the salary cap’s ceiling. Kurdi took over as owner in 2011, shortly after the collapse of the club’s main backer Northern Rock left the Falcons struggling financially. The exact extent of their debt is difficult to quantify due to confidentiality agreements. Northampton Saints have no overall controlling party. Northampton last year recorded a loss for 2016, the first loss since becoming a limited company in 2000 and this month they announced a second loss, for 2017. The Saints are financially sound with minimal debt. Sale Sharks are owned by Simon Orange via a holding company, CorpAcq Ltd. Orange bought the club from Brian Kennedy in 2016 and has kept a tight rein on finances as the Sharks have the smallest turnover and wage bill bar one in the Premiership. The club is currently debt free. Saracens’ parent company Premier Team Holdings is majority owned by Nigel Wray. Saracens have been carrying the largest debt of any club in the history of rugby. It was nearly £50m and now said to be around £41m. 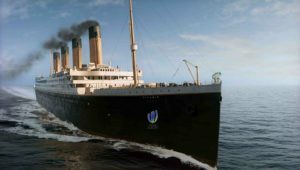 The club’s South African backers withdrew this year, but we are told that certain debts were written off and that Wray is soliciting new investment. The exact amount of their remaining debt is currently unknown. Wasps are owned by Derek Richardson via Moonstone Holdings, a company registered in Malta. When the club was at Wycombe, bankruptcy was at one point a couple of minutes away, and relegation very nearly followed. The move to Coventry has significantly increased the indebtedness of Wasps whose liabilities are nearly £49m, the bulk of which is down to a £33m bond scheme which is repayable in 2022, although it is likely to be refinanced. They had the third highest loss in the Premiership last year and their auditors, PwC, resigned after an accounting irregularity that saw the accounts delayed by three months that left the club needing owner Derek Richardson to meet cash flow requirements, in particular the 6.5% annual interest on the bonds. Worcester Warriors are owned by Sixways Holdings Limited – registered in Jersey. Worcester were the only club last year whose wage bill exceeded turnover. Only four clubs paid more in salaries and the Warriors lost more than £8m, having posted a profit 12 months before, albeit one that was down to loans being written off. It was put up for sale last season and admits to being “reliant on its shareholders for financial support”. Over in France the story is much the same as in England, with one small but critical exception. The grounds on which the clubs play their games are all municipally owned, so the clubs do not have to worry about the up-keep and maintenance of their facilities. That difference is very important when the financial side of the game is being considered. Consequently, French clubs have more in the kitty to spend on their playing staff. Not that their deeper pockets make much difference to overall profitability of the game. The individual clubs are owned and sponsored by mega-wealthy benefactors or corporate supporters, who keep the lights on despite the entire rugby union and its competitions losing eye-wateringly large amounts of money. Whilst the actual ownership and shareholding in each club is somewhat difficult to obtain as French financial reporting regulations are somewhat obscure. We can, however, mention some of the clubs and their benefactors. Union Bordeaux Bègles have a Hong Kong based investment company GaveKal as a shareholder. Castre is owned by the estate of the late owner, Pierre Fabre, the founder of Laboratoires Pierre Fabre. Montpellier is funded by Mohed Altrad. Racing 92’s president is Jacky Lorenzetti, who heads a giant real estate company called Foncia, they also receive funding from the regional council of Île-de-France. Stade Français are owned by Jean-Pierre Savare, and his French security systems company Oberthur Technologies. Toulon has Mourad Boudjellal, who made his fortune in the comic strip business. Japan is a little different. The players are most usually employees of the corporations that own the clubs, which caused some accusations of “shamateurism” in the pre-professional era. The arrival of professional rugby ended those complaints. The corporations own the club facilities, and maintain the buildings and fields along with their own operational buildings. The clubs have no need to be financially successful, as the owners use the club operating costs and expenses for tax write-offs every financial year. Whatever the structural model of professional rugby, in whichever country you care to investigate, the game is running at a very serious financial loss. Australia, South Africa, New Zealand, England, and France have all reported ongoing financial losses at the national level, with the odd blip after a successful international tour or World Cup tournament. A closer look at the professional rugby teams within each of those countries reveals a similar picture. In South Africa the provincial unions are all in serious financial difficulties. In Australia the picture is equally dismal. In New Zealand, the picture repeats itself, with the most recent news being the bail-out of the Blues by the NZ Rugby Union. If you head north, you find the same story. In France the Top 14 and the Pro D2, are running at a serious loss. In England the Premiership clubs owe goose-bump raising amounts of money. Professional Rugby is not paying for itself. It does not generate the broadcast revenues, the advertising revenues, and the sponsorships that can keep it alive. Financially, Professional Rugby is a failure. There are many many reasons why professional rugby is a financial failure. First and foremost, it is not the most popular sport amongst either those who attend matches at sports stadiums, nor is it the most popular in terms of television viewership. American Football (the NFL) attracts an average pre game crowd in excess of 69 000. Football (soccer) attracts massive crowds across the whole world. The Bundesliga in Germany attracts an average of 42 421 per game. The Premier League in England averages 36 452 per game. Even Aussie Rules Football in Australia attracts an average crowd of 31 878. Those are the Top Four crowd pleasers. The next six on the overall list feature baseball, cricket, more football, and then Canadian gridiron football, at tenth on the list of average crowd attendances, at 24 692. Super Rugby, in 2015, attracted an average of 19 163. By 2017 those figures were down to an average of a shade over 10 000. France’s Top 14 in 2017/2018 attracted an average of 14 341, while the Aviva Premiership in England, in the same period, attracted an average crowd of 14 165. Those are not huge numbers, no matter which way you tilt the mirror and drift the smoke. The Currie Cup in South Africa, in 2014 attracted crowds averaging 11 125, but by 2017 the average was down near 5 000. The Pro 14, featuring two South African teams, in 2017/2018, was attracting an average crowd of just 8 561. Rugby simply does not attract the crowds. 17 000 000 fans paid for seats in the stadiums to watch the American NFL in 2017, less than a million pitched up to watch all of Super Rugby! World Rugby, in their 2017 Review, made much of the “growth in New Fans” of 42% – a figure they arrive at by calculating how many more hits they received from visitors to their various on-line websites! They are proud to announce that they have more than 8 million followers on their various social media platforms. They tell us that 320 million people watched videos about rugby on various platforms such as YouTube. Unfortunately this is yet more smoke and mirrors, obscuring the true numbers and popularity of the game. A quick visit to YouTube will tell you that video clips titled “Rugby’s Biggest Punch-Ups” and the like, draw millions of viewers. One title: “Rugby Fights and Brutal Punch-Ups” was posted 3 years ago has drawn 5,2 million views. A similar title posted in 2018 has drawn 1,7 million views. This does not illustrate an interest in the game of rugby, it simply illustrates people’s interest in violence! Nascar crash videos draw a similar number of viewers, probably the same people! World Rugby seems to be in denial when discussing the overall popularity and financial viability of the game. Television viewership figures are equally disconcerting. 3,4 Billion people watch the 1998 Fifa Football World Cup in France. In 2016 over a billion watched the Wimbledon Tennis Championships. In 2018 over a billion people watched the Fifa World Cup Final between France and Croatia. Rugby has never been able to attract a cumulative billion viewers in a full year, across all competitions, leagues, and series world-wide. Cricket, that other quintessential English colonial export, features very high on the overall viewership figures, thanks to over a billion Indians who are besotted with the game. Rugby gets nowhere near that kind of audience. In essence, rugby, even in its most “lucrative” leagues in France and England, attracts relatively tiny crowds and fewer spectators than a big football match! Rugby is a niche sport, enjoyed by a few, and because of that simple fact, it will never be a huge financial success. Secondly: The next reason why rugby suffers at the box-office has to be the complexity of the game itself. Those of us who love the game of rugby are those who grew up with and in the game. We learned the technicalities and the laws early, in our formative years. We have stayed up-to-date with the never-ending stream of changes to the Laws and the weirdness of refereeing interpretations. And we are often confused. For all others the game is difficult to watch and understand, with a massively complex and often strangely contradictory set of rules and, in these modern times, a very static spectacle. An uninformed viewer sees a game that consist of many stops and starts, with very little overall continuity. It can be, and often is, as boring as watching paint dry. There are reasons for the current malaise of static rugby on the playing field itself. The space and pace has been legislated out of the game by continual law changes and weird interpretations; a slow but deadly strangulation of the game, preventing the spectacle that sports lovers want to see and enjoy. This is a subject for another discussion, our focus today is on the financial woes of the game itself. Both the lack of live crowds in the stadiums, and the low television viewership numbers contribute to a game that cannot sustain itself financially. Broadcast revenues are the single biggest income factor in rugby, yet the amounts earned by rugby are dwarfed by the amounts spent on other sports. According to PwC (PricewaterhouseCooper) in their 2017 Sports Outlook report, the North American sports media market is set to grow at a compound annual rate of 3% through 2021, across segments of media rights, gate revenues, sponsorships and merchandise, with revenues rising from US$69.3 billion this year to US$78.5 billion in 2021. Broadcast spending is set to rise by as much as US$20 billion. Amazon, paid $50 million in cash, plus a reported extra $30 million in free marketing and promotions, to the NFL this year for the rights to stream just 10 Thursday Night Football games on its Prime Video service. These figures are simply used to illustrate how small the SANZAAR Super Rugby financial packet really is in world terms. US$500 million over five or six years is small change in the real world. The Wage Bill is the single biggest cost factor in professional rugby, and sits at the root of the financial mire in which rugby finds itself. Analysis of the figures available across the various national and international professional rugby structures suggest that the wage bill consumes some 60% of rugby’s annual revenues. In Australia, the ARU contributed A$25 million towards player payments in 2017. (These are payments for national team contracts) This amount makes up 20% of the total expenditure of the ARU. Another A$39 million went to Super Rugby team funding. If we then take a quick look at the annual reports of the various Australian Super franchises the figure of 53% represents the average wage bill for playing staff (including coaches) at the franchise level. In New Zealand the figure is more easily quantifiable, with 51% of the total expenditure by the NZRU being on employee benefits. This figure does not include amounts that are payable to national team representatives. The English premiership figures are provided earlier in this report. Quite clearly, the single biggest cost factor in professional rugby is the wage bill. So much so, that professional rugby is running at a loss across the entire world. The English Premiership clubs have seen the writing on the wall, and are actively working at reducing their operational expenses, especially the salary bill. The have finally realised that, 21 years on from their tournament’s launch, the clubs remain mired in debt, and the game is still a licence for backers to lose money. Some clubs are fortunate, they have benefactors with bulging wallets, but even those sponsors are recognising that the health of the club game demands financial planning, not splurging. Without a doubt, the Premiership games do generate spectator interest. The average for the final round of last season was 11,860, with all six matches attracting 10,000 fans or more. But those crowds are still very small compared to other spectator sports, and certainly do not generate the kind of revenue that will put the game (and the clubs) in the black. Premiership Clubs have realised that the constant recruitment drives, across both national and international markets, serves only to drive up the wage bill, without providing a concomitant increase in revenues. This realisation has resulted in the clubs starting to focus on recruiting players locally and from their own development academies. Simply – your own people are cheaper than imports! Saracens have put their leading players and coaches on long‑term contracts. Gloucester and Northampton have reduced the size of their squads, replacing reserve players with academy graduates; and Worcester, whose financial performance last year was the worst of the 12, have drawn up a new financial plan. In the past Premiership clubs have gone to the wall – Bedford, Richmond, London Scottish, Bristol and, most recently, London Welsh have all gone. The survivors have to make changes to their business model and staff bill if they do not want to follow suit. Across the world Professional Rugby has to take a very long and hard look at itself. The game is strangling itself to death financially. Mega-wage packets are simply unaffordable and contribute to what could easily become the death spiral of the game. The game is in trouble, and needs to be fixed, quickly. Somehow, somewhere, sanity must prevail and wage and benefit packages must reflect the reality of a game in financial trouble. Somewhere, somehow, those that are tasked with administering the game must make the necessary changes that will make the game an attractive and entertaining option for television viewers and those who want to watch live sport. Change the Laws that are slowing the game and strangling interest. We stand at the mythical Crossroads, and I can hear the guitars playing. Rugby has sold its soul to the Devil, a deal that was made back in 1995 at the crossroads where amateurism and professionalism crossed paths. It was a deal that promised many benefits, in the form of massive broadcasting deals, huge salary packages for the players, and superior quality rugby for the supporters and fans. Rugby stands at those crossroads once again, with the offer of redemption if something is done to rectify the contract with the Devil, or the game faces eventual oblivion. I do not wish to be a witness to the demise of a game that has enthralled me for as long as I can remember, but I fear that the writing is on the wall, if you care to read it. Previous articleBok Duo To Start for WP. Next articleThe Premiership For Sale? Some really interesting, enlightening and perhaps disheartening information on the financial status of rugby worldwide, Bill. I believe it was inevitable that rugby union was going to go professional at some stage. Rugby Union is relatively new to the world of professional sports and it may take a few more years for the dust to settle and the “wheat separated from the chaff”. I am no expert but I would imagine that most professional codes have gone through some financial crises. Perhaps in the next decades professional rugby will rapidly head to a winner take all scenario whereby the financially strongest rugby union leagues will retain the best athletes. This at the expense of less wealthy leagues, inevitably forcing the financial collapse or withdrawal of clubs from professional rugby. This would probably could happen at the expense of the international rugby as is already the case for some smaller or less wealthy rugby markets. Your point about the difficulty for rugby to attract new spectators and followers is spot on. Due to the complexity of the phases of play and “entanglement” of the players in “chaotic heaps” makes rugby union a hard game to understand and engage with for the average potential new spectator. Rugby 7s obviously has become a leading global advertisement for rugby union on the global stage. Ultimately rugby has to compete with other well established sports and entertainment in a highly competitive world markets. To be successful in any market a product has to dominate or at least be in the top 3 to succeed financially. perhaps in future the 15 man game may have to adapt to 7’s rather than the other way round. Issues like women’s rugby and player safety are also issues that will continue to have a major impact on the game. Perhaps events as described above, will lead those not able or interested to compete with the new order of rugby to establish and maintain a nostalgic and amateur Classic Rugby Union competition? I guess the real issue is that Rugby is facing a truly uncertain future. The onset of the professional era has resulted in a serious financial mess right now. The game has been legislatedand neutered by lawmakers focussing on safety and a “flowing game” which has had the exact opposite effect – the game is strangled by rules, laws, and weird referee interpretations and has become a static mess. That drives away spectators who want to see a spectacle of movement, speed, surprise, and space. They do not want to see 144 rucks in a game where the ball is in play for just 32 minutes. Sure, there will always be the purists who love a good forward bash and crash, but the average spectator does not know, understand, nor care about a continual pile-up of bodies while the referee shouts “NO!” or “Leave it!” The game currently lacks the razzle dazzle that provides entertainment. Without plenty of spectators and television viewers, the advertisers and sponsors are unlikely to remain involved, further deepening the crisis. I watched Toulon play Stade on the weekend, and the stands were empty. In Australia a Test between the Wallabies and the Pumas could not fill the seats in a small stadium with just 27 000 seats. At the end of the day, the winner-takes-all scenario will surely strangle the game to death, and will inevitably also fail, as spectators want a competition with the uncertainty of outcome to keep them enthralled, not a weekly massacre. If the game is confined to just a few wealthy clubs and their gladiatorial warriors, Average Joe will walk away. Joe wants to support his own local team, not some glamour club that plays in some distant country. The entire model on which the professional game is built needs a serious rethink.